The following services are offered at the clinic. All treatments are customized to your individual needs. An initial visit is required initially to assess which treatments are best for you. DO YOU STRUGGLE WITH JOINT PAIN? STIFF MUSCLES? BACK PAIN? CHRONIC TENSION? Dealing with chronic pain can be debilitating. Pain doesn't just hurt - it can impact your daily activities, your quality of life and enjoyment of life. 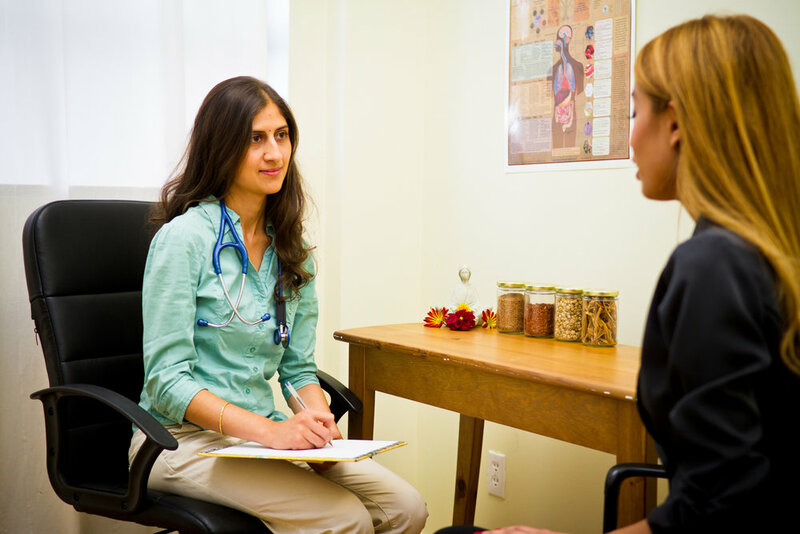 Even if you are on current treatment (such as conventional medications or physiotherapy), naturopathic medicine & Ayurveda have a lot to offer to bring relief. You don't have to live with pain - there is hope. There are many underlying causes that can be contributing to your pain, such as: inflammation, stress, postural imbalances, toxin accumulation, degenerative diseases, poor lifestyle & diet habits. Treatment of pain requires a detailed assessment and a comprehensive approach that addresses the whole body, mind & spirit. Treatments may include diet, supplements, herbs, acupuncture, Ayurvedic therapies & lifestyle counselling. Dr. Athparia, ND is experienced in treating pain-related concerns and can recommend treatments tailored to your health concerns.